Use a sonar on a boat to remotely measure the depth of an ocean at various locations. 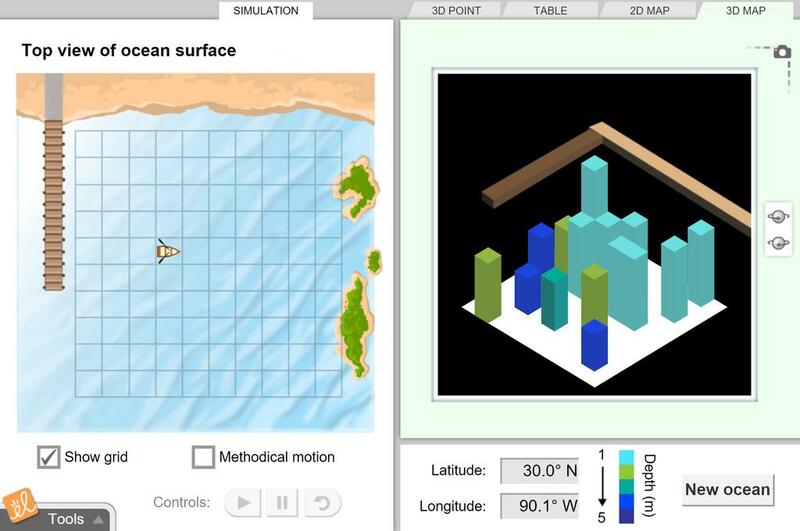 Describe multiple points on the ocean floor using their latitude, longitude, and depth. View maps of ocean depth in two and three dimensions, and use these maps to plot a safe route for ships to follow. This was a great way to give my students a visual of just how sonar works.